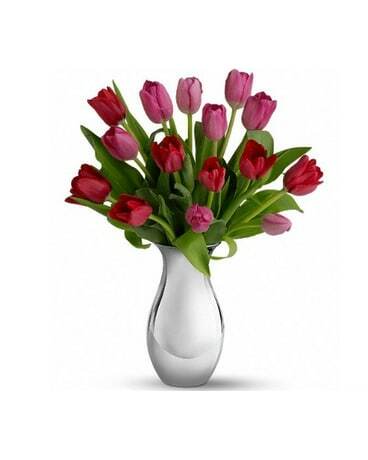 This beautiful vase with a metallic silver finish is filled with cheerful springy tulips. 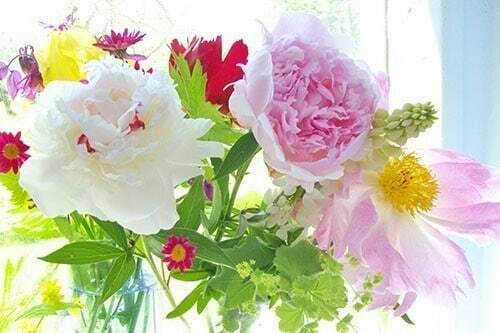 15 tulips or deluxe it to 20 tulips. Approx size is 13" (33cm) wide by 16" (40cm) high.